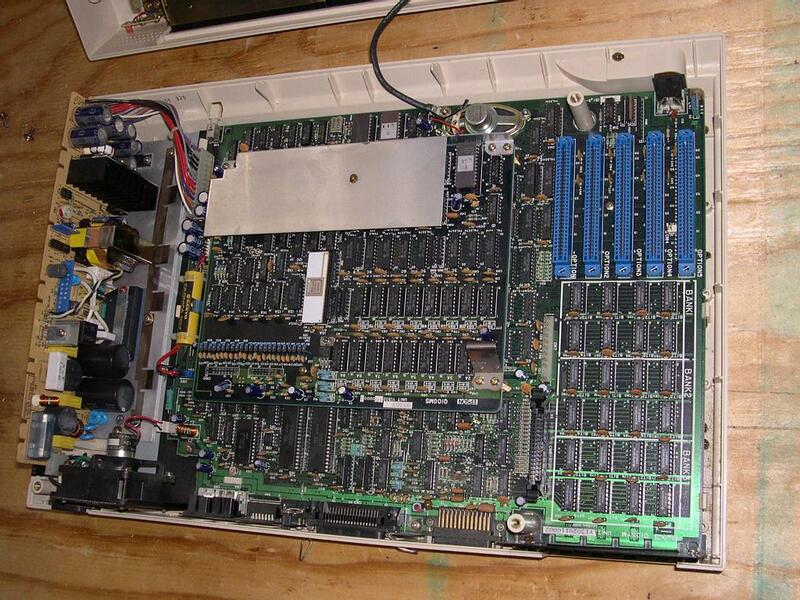 The QX-10 put together, front of the case, rear, internals, close-up of the daughterboard (damned bugs), the ISA expansion bay and the documentation. The Epson QX-10 is a very clever piece of both engineering and purpose. 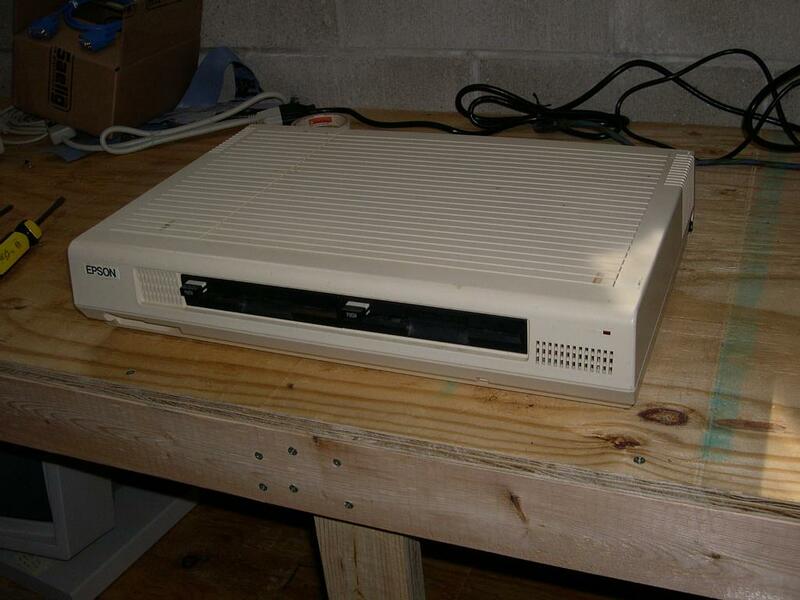 A machine designed to make computing as easy as possible for the user. An admirable goal, to say the least. 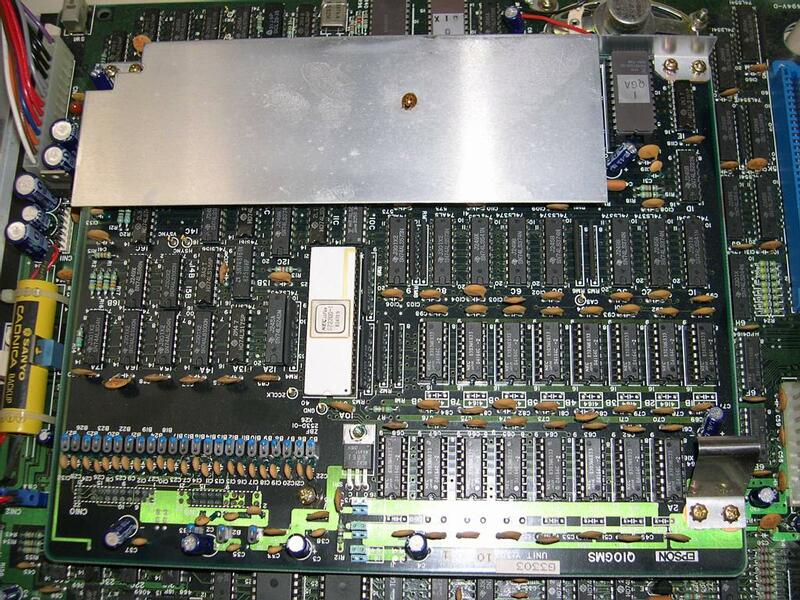 The QX-10 runs off a 4mHz Z80 with from 64kB to 256kB of memory, not a state of the art system at the time. Running TPM II, a modified version of CP/M with extensions for bank-switching RAM and bitmapped graphics (although the machine is capable of running stock CP/M), the QX-10 appears a fairly run of the mill machine. "A word processor, an information indexer [database], electronic mail system, address book, mailing label printer, calculator, appointment book, notepad, timer, clock and calendar, schedule printer and business graph plotter". That's right - eMail right in there. Weird, no? 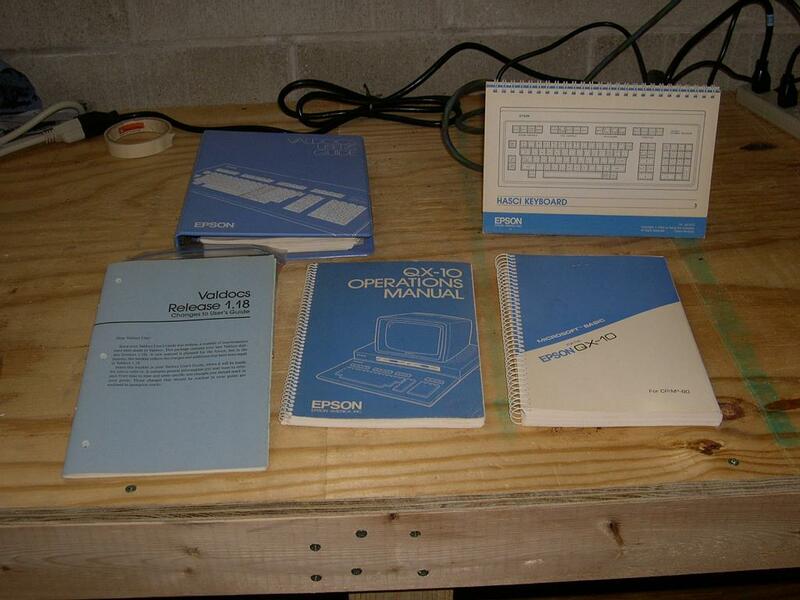 Not only did the system come with this single piece of all encompassing software, but the system was designed to be as easy to use as possible. 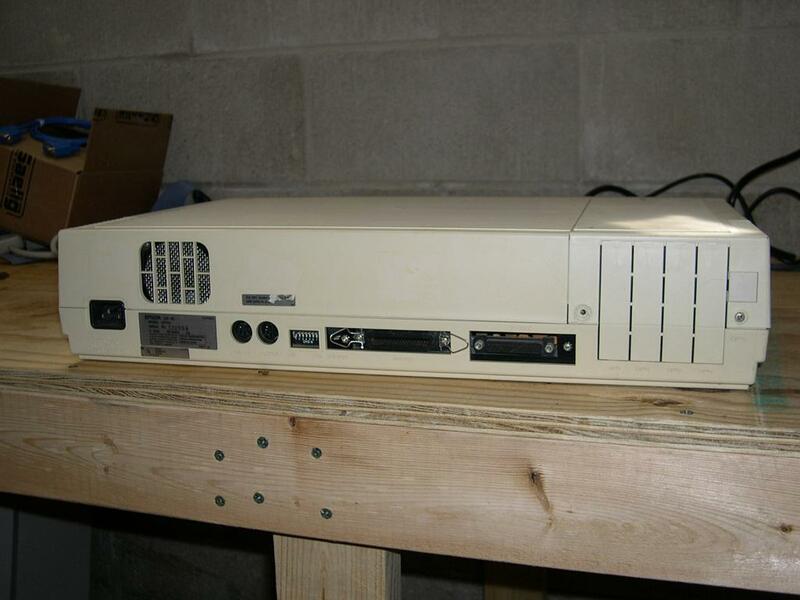 There isn't an "A" and "B" drive, instead it is the "Left" and "Right" disk drives. 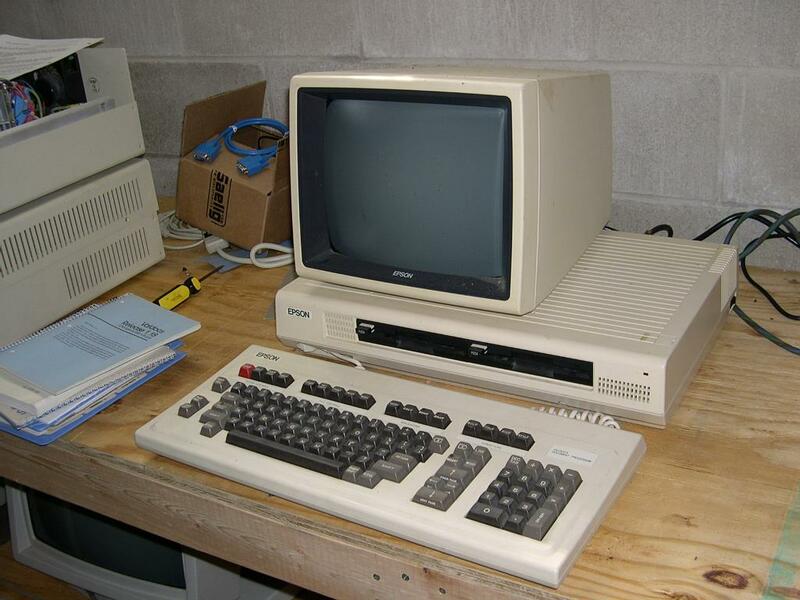 The function keys all have assigned system functions to help the user along as well, something you'd find on a dedicated word processing system for example, like "Help", "Copy Disk", "Undo", "Print". All of the software features are available by tapping one of the keys on the keyboard as well, "Index", "Mail", "Menu", "Calc" and so on. Valdocs made use of the QX-10s surprisingly good quality 640x400 monochrome bitmapped graphics display, and allowed a true WYSIWYG interface to the software. When you selected italics, actual italics appeared on your screen - a fairly novel concept. Pictures could be inserted into the word processing documents and displayed on your screen as well. 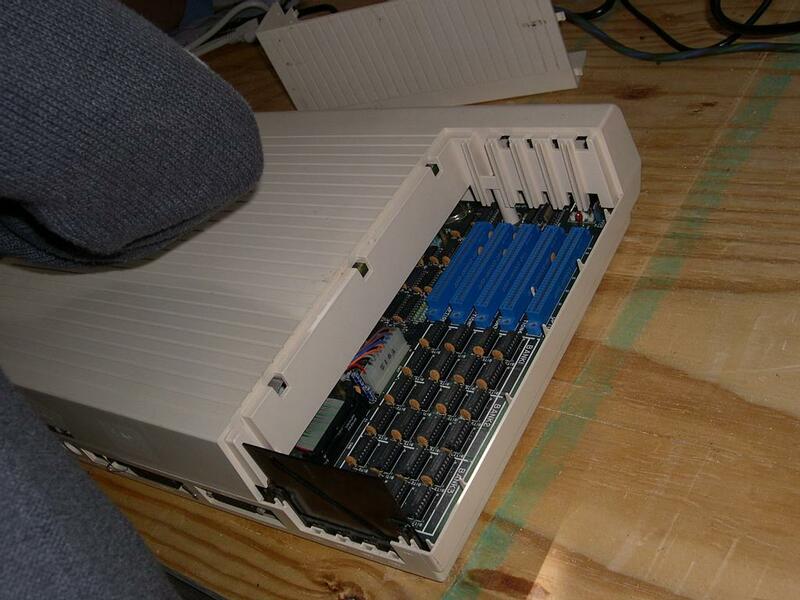 The QX-10 has a five slot 8-bit ISA bus for expansions (for example, an approprate internal modem so you could connect to the 'net), and apparently there was an 8088 expansion board available so you could boot CP/M-86 (or later MS-DOS 1.0) and run CP/M-86 or DOS programmes. Unfortunately mine is in a state of suspension, right now. My beloved wife tripped while helping me bring the thing inside and ended up bouncing the VDU (which weighs almost nothing for some odd reason) off the flagstones of our path. My wife survived intact, and when plugged in the VDU gives a raster line, but no readable video. More investigation required. Elsewise, however, when system disks are inserted, the machine appears to boot normally from the sound of things... we just can't see what it is up to.